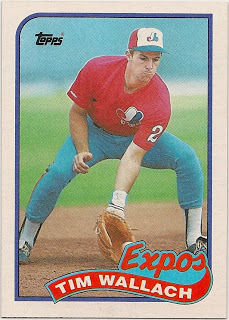 Tim Wallach returned as the Marlins Bench Coach in 2018. 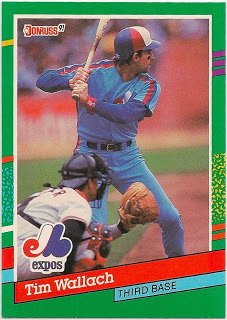 While it certainly seems to be a good position, it's not one that's likely to result in any new baseball cards the way being a manager might. 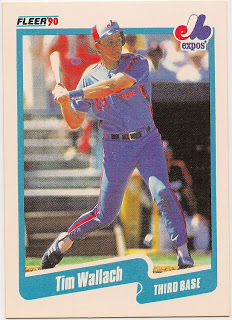 The likely best hope for a new Wallach card is probably one for Chad Wallach. 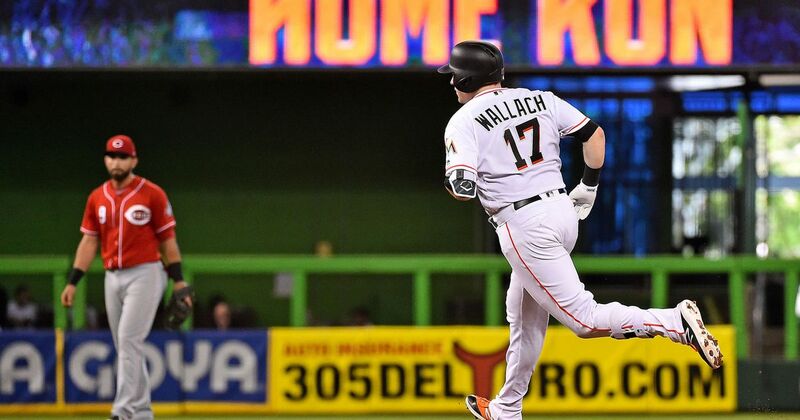 Chad was picked up by the Marlins during the off season, and was actually the opening day starter due to Realmulto's injury. 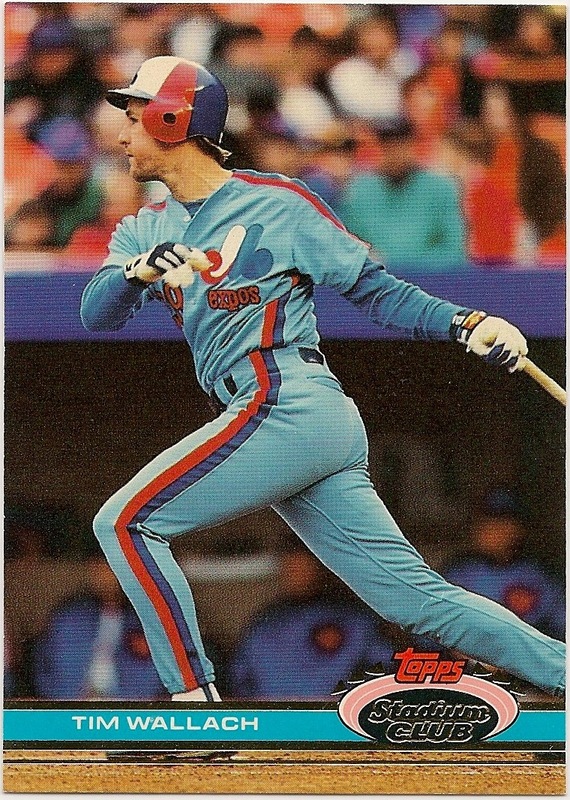 Chad spent most the season in AAA, but did see a good amount of time with Marlins, and managed to hit his first home run. 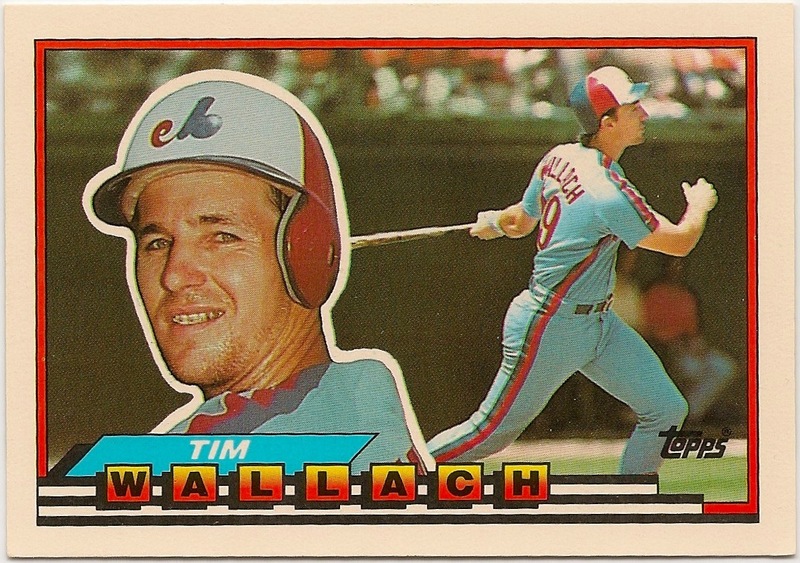 Tim and Chad have now combined for 261 career home runs. As far as cards go, 2018 was a pretty good one for me, as I was able to add over 2,000 Wallach cards. 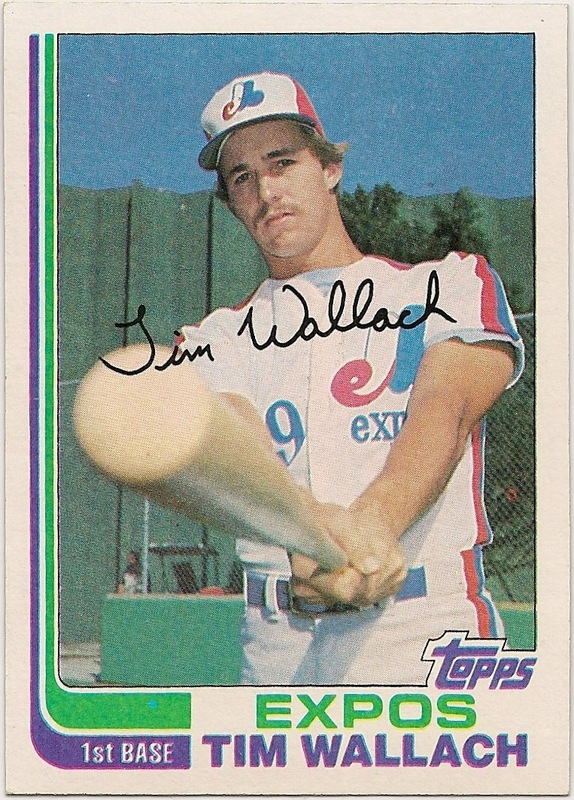 Unfortunately there were no new Wallach cards produced, unless you count the "Rediscover Topps" stuff as "new." I don't. 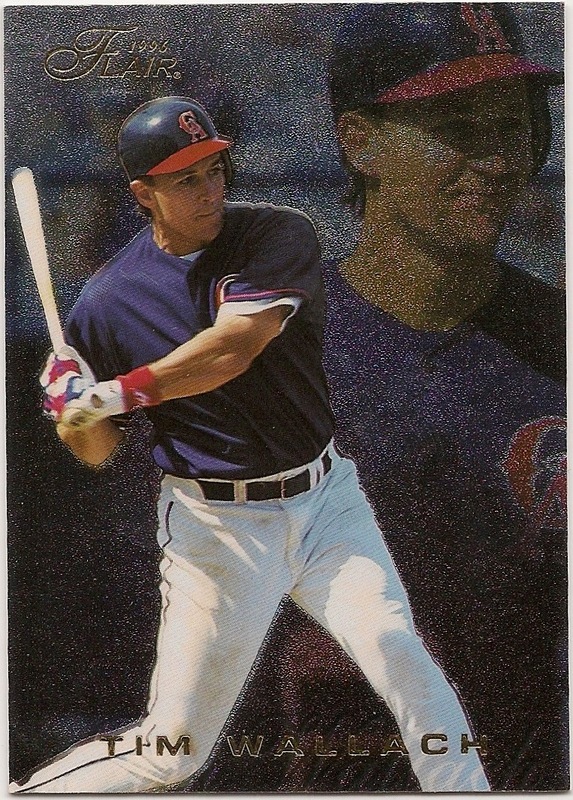 There was also some sort of digital only card produced, but I feel very strongly that a jpeg on the Internet is not a baseball card. I guess I'm old fashioned and stubborn. That said, there's always hope for 2019. For the second year in a row little change to the Top Ten. 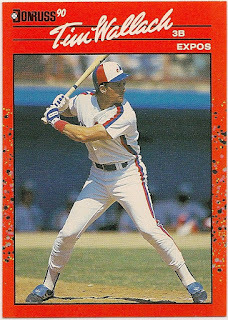 There were no new-comers to the list, though '89 Fleer now sits just outside of it, and the only changes to the order were the '88 Topps and '88 Topps AS swapping positions, and the '90 and '87 Donruss cards swapping positions. After being one of the more surprising "no-shows" in 2017 (I didn't add any that year), 1991 Stadium Club made it's presence known this year with 53 new copies crossing my path. 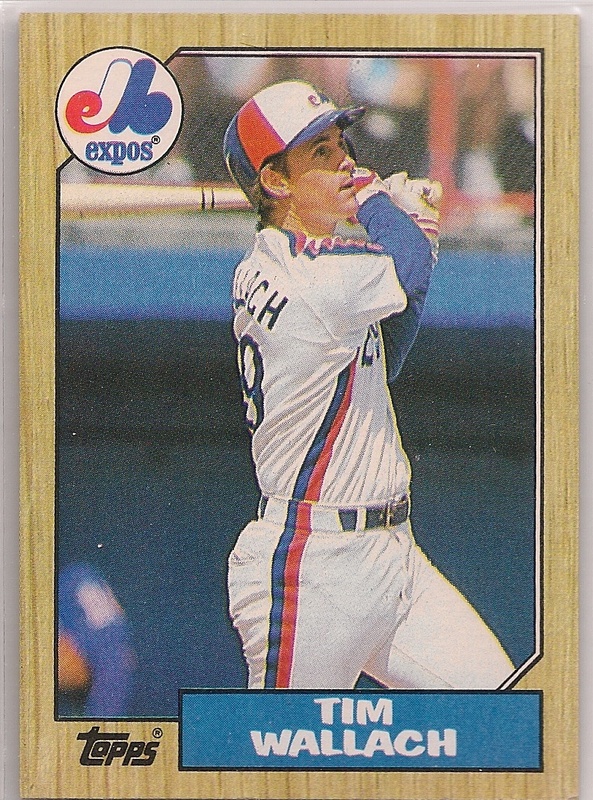 If '87 Topps matches it's total of a 100 new cards again in 2019, it'll become the second card to cross the 1,000 copies thresh hold. There weren't any real head scratcher's among the cards that I didn't add a single copy of in 2018. It was for the most part the usual suspects, odd balls and inserts that I don't have many copies of to begin with, and a lot O-Pee-Chee, Tiffany and Stickers. 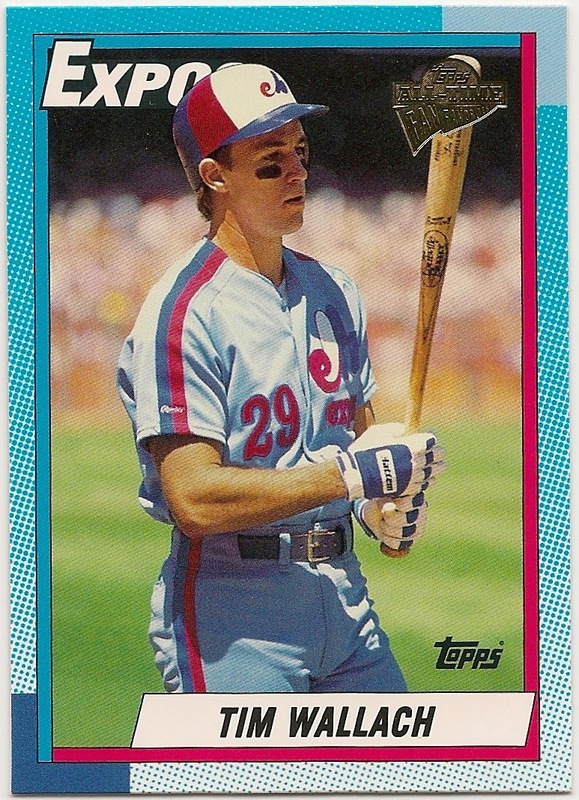 1989 Topps Big, 2003 Topps All-Time Fan Favorites, 1996 Flair, and 2005 Topps Rookie Cup were among the more "surprising," though it's probably a stretch to call it a surprise. There were no 1991 Stadium Clubs, or 1985 Fleers showing up on the list this year.. I was sent 42 envelopes of cards in 2018 containing a total of 946 cards. That's nearly double the total number of cards I was sent in 2018. I have now been sent 6,723 cards in the mail by readers since I started this blog. It's a mind blowing number that I struggle to wrap my head around. There wasn't a whole lot of change in the Top Ten. 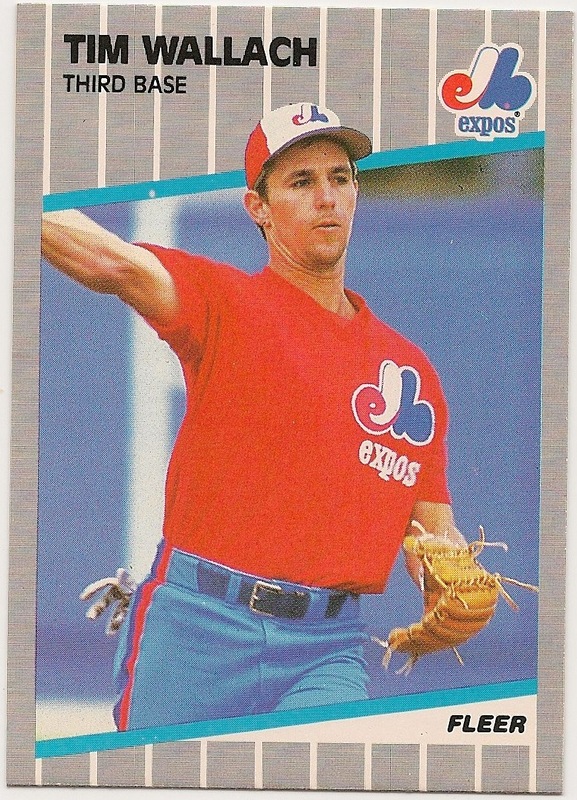 1990 Fleer is the only new comer on this list with the Topps All-Star being the only card to fall off. It's pretty clear that 1987-1991 was sweet spot for readers of this blog. I want to thank everyone who read any post in 2018. "I feel very strongly that a jpeg on the Internet is not a baseball card." 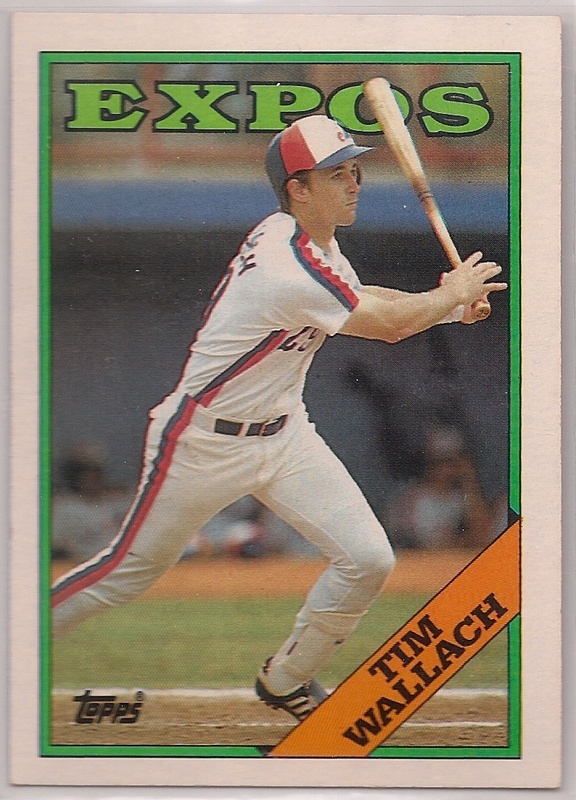 As probably your lead supplier of Dodger Wallachs, it's my goal one day to see one of his Dodger cards in the top 10. Probably will never happen.